How's Your Market Segmentation? - The AIM Institute How’s Your Market Segmentation? The AIM Institute > Insights > Blog > Organic Growth > How’s Your Market Segmentation? Can this lesson be applied to business? 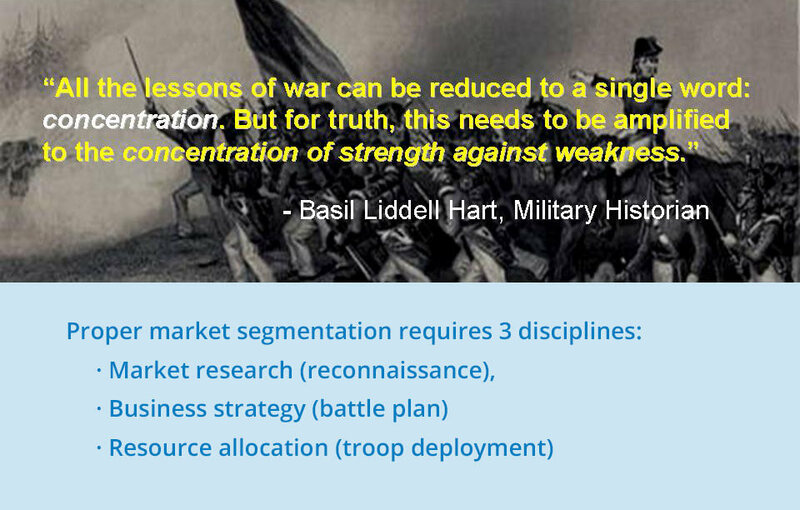 Let’s substitute market research for reconnaissance… business strategy for battle plan… resource allocation for troop deployment. Could it be that new product launches and other business initiatives fail largely due to lack of concentration? Napoleon concluded, “It is impossible to be too strong at the decisive point.” Great military leaders throw the weight of their force at the critical point in the battle front. Losing generals spread their forces thinly, unable to muster an effective attack, always on the defensive. I find many business leaders fail to 1) thoroughly understand their battle fronts, 2) determine the decisive points to attack, and 3) follow with an overwhelming assault. Think of a business leader’s potential battle fronts as market segments to pursue. Let’s define “market segment.” Some companies define their markets by their own organizational structure, sales territories, product lines, etc. But this is inside-out thinking and quite flawed. I believe a market segment is a cluster of customers with similar needs. Thinking in this outside-in fashion requires more effort, but leads to a host of benefits. Develop “averaged” products for dissimilar customers that don’t fully satisfy any of them. The former makes you reactive and vulnerable; the latter mediocre. When you cluster customers into market segments, though, you gain tremendous efficiencies. You can discriminate between segments, placing your troops where they’ll count. For attractive segments, you can interview customers in-depth to understand market needs far better than competitors. You can collaborate closely with key market players, establishing yourself as a supplier of choice. And you can launch your product with rifle-shot promotional tools. So both “early-stage marketing” (understanding needs) and “late-stage marketing” (promoting solutions) work better. After all, marketing should be about… markets. due to poor segmentation, enormous value is missed. It can be tempting to begin product development without understanding your market segment. Tempting, but wrong. Any number of unseen problems could plague you: global competition, unfavorable regulations, competitive backlash, etc. You will eventually learn of these problems, but your cost of doing so could easily increase one-to-two orders of magnitude if you learn by experience instead of investigation. Ultimately, your market sets your project’s ceiling: Beautiful product development in an ugly market simply makes no sense. Many companies don’t understand their customer clusters well enough to do full-blown market segmentation yet. That’s OK: Start where you are by screening possible segments (Figure 1). Gather secondary research about each segment so you can make a “stoplight” assessment. 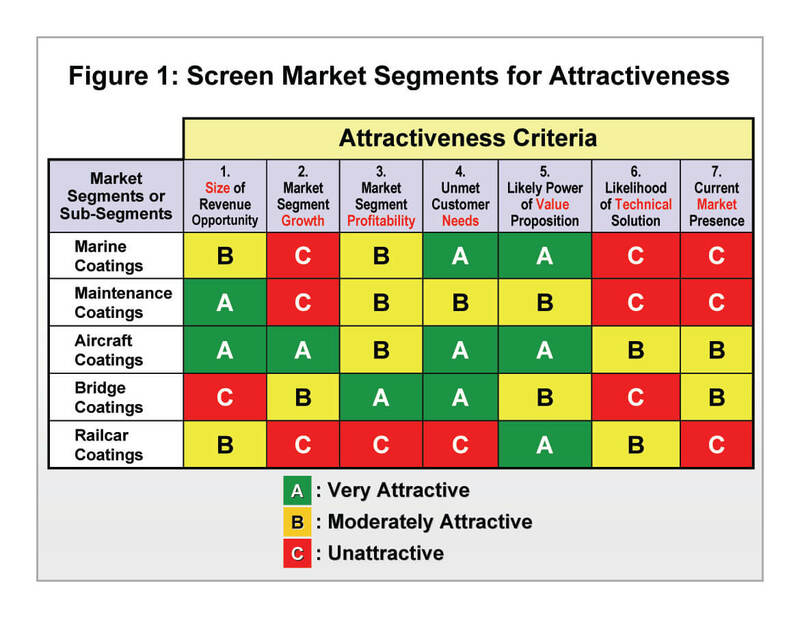 Segments that look most attractive—in this fictitious example, aircraft coatings—should be pursued with customer interviews to uncover needs and trends. Sure, you could do a more sophisticated analysis with weightings and points… but how good are your decisions until your data come from customers, not colleagues? Beautiful product development in an ugly market segment simply makes no sense. After you’ve gathered market data—with secondary research and customer interviews—you’re ready for a market segment portfolio analysis. I like to use the approach shown in Figure 2. 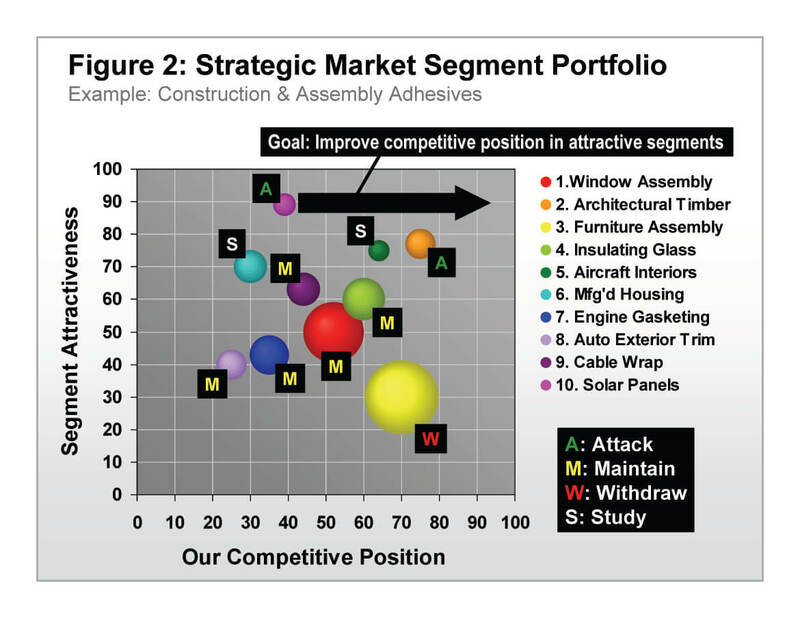 In this example of a different fictitious business—adhesives—market attractiveness is driven by segment growth and other factors, while competitive position is driven by relative market share and other factors. All of this can and should be quantified. You generally want to improve your competitive position in attractive segments, i.e., move top bubbles to the right. But if the enemy has amassed troops at this point of the battle front—say solar panels—you must deliver significant new product value to win. To understand your chance of success, you’ll need reconnaissance through customer interviews and competitive benchmarking. The only military move worse than spreading forces thinly is attacking blindly. First, don’t define segments too broadly lest you “average” the needs of customers, giving an opening to a competitor who targets more narrowly. 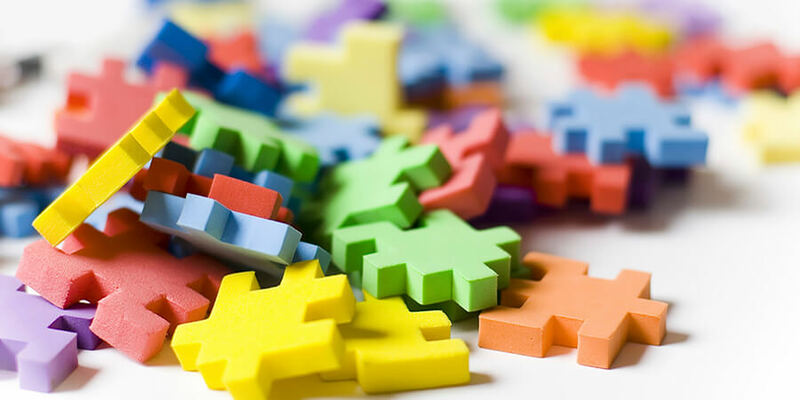 Second, organize your business by market segments; many companies begin by establishing market-focused teams which later “morph” into market-focused businesses. Third, manage segments globally. Regional organization silos set you up to be blind-sided in our dynamic global economy. Finally, once you’ve completed the analysis in Figure 2, be bold in piling on resources for the “Attack” segments. Too often I see this part of strategic planning end with a whimper. Your reconnaissance is complete. You’ve got a battle plan. Now it’s time to concentrate your troops. Figure 2 is based on traditional Boston Consulting Group and McKinsey matrices. Each of these firms offers helpful insight into the practice of market segmentation. I also recommend Jim Hlavacek’s book, Profitable Top-Line Growth for Industrial Companies. Finally, at The AIM Institute, we provide hands-on training in market segmentation that includes customer interviewing and competitive benchmarking.